Fly past the hassles of La Guardia and JFK. Choose MacArthur for your flights from Long Island. Fly nonstop to 13 cities! 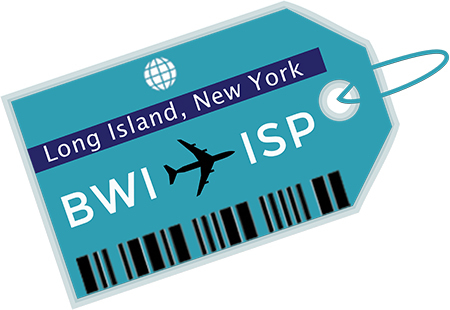 Connect to cities across the country and around the world from ISP with service to hundreds of destinations in the U.S., Caribbean, and Europe.